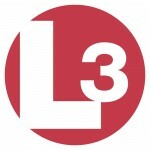 L3 Technologies’ Chesapeake Sciences Corp. subsidiary has received a $43.1M contract modification to continue producing TB-29C towed array sonar systems for the U.S. Navy. The service will obligate the full amount at the time of award from its fiscal 2016 and fiscal 2017 shipbuilding conversion funds as well as FY 2018 and 2019 other procurement funds, the Department of Defense said Friday. The fixed-price-incentive and firm-fixed-price modification exercises options of a potential $238.2M contract awarded in 2016 for the initial production of TB-29X units and associated platforms. Chesapeake Sciences will perform work in New York, Maryland and Rhode Island through January 2022.